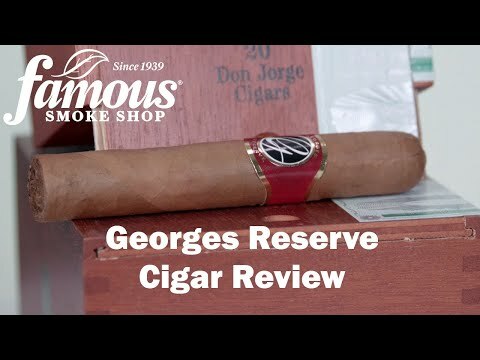 Georges Reserve is an affordably-priced, mild to medium-bodied premium cigar made by the Oliva Family in Esteli, Nicaragua. The blend starts with dark, fully-aged Nicaraguan longfillers that are rich in flavor and remarkably smooth. An African Cameroon leaf binder harmonizes well with the earthy Nicaraguan tobaccos, while a silky Ecuadorian wrapper completes the mix. The result is a well-balanced cigar laced with caramelized flavors of cedar, spice, and a note of vanilla on the finish.